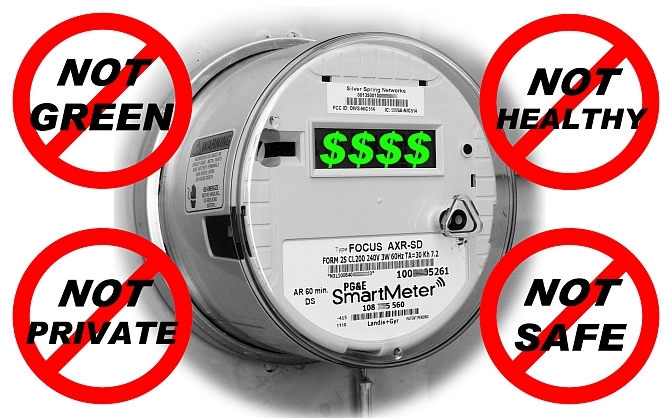 This just in from Sharon Noble of the British Columbia organization Coalition To Stop Smart Meters. It pertains to a human rights complaint filed in 2012 by Citizens for Safe Technology against BC Hydro, on behalf of electrosensitive people. The BC Human Right Tribunal dismissed the complaint yesterday, September 18, 2014. “Sad news. Our Human Rights case was dismissed by the Human Rights Tribunal. This was a class action on behalf of people with EHS and whose doctors said that they should avoid RF and not have $$meters. Even though EHS is a recognized by the Human Rights Commission in Canada, the Americans with Disabilities in the US, and as a disability in other countries, the Tribunal chose not to accept evidence but rather to base its decision in large part on the evidence the BCUC accepted in the Fortis application. “Fortis BC paid a company (Exponent) to defend the $meter. Exponent is a “product defense company” and has defended some of the most dangerous products in the world – pesticides, Agent Orange, asbestos, etc and now microwave radiation. They buy scientists who will produce reports saying anything is safe. One of their people said that our bodies emit more radiation that does a smart meter and the BCUC accepted that while rejecting testimony from world-renowned experts like Dr. Martin Blank, Dr. Isaac Jamieson and Dr. Meg Sears. The text of the Tribunal’s reasons for decision is here. The other class action lawsuit against BC Hydro over smart meters is still ongoing. That one represents all customers of BC Hydro (residential and business) who are unhappy about any aspect of the smart meter program (i.e., getting one if you didn’t want it, getting one and later deciding you don’t want it, being harassed and bullied for refusing to get one), whether or not you currently have a smart meter. This entry was posted in EHS, News, Smart Meters and tagged BC Human Right Tribunal, BC Hydro, Citizens for Safe Technology, class action lawsuit, Coalition to Stop Smart Meters, Dr. Martin Blank, Fortis BC on September 19, 2014 by Kim Goldberg. It looks to me like there are more rights given to animals these days than humans.Knowing that animals are also affected by electromagnetic fields ,perhaps we should ask the animal rights comity for help.It would be interesting to know if there was bribery involved.I had to leave my home because of a nearby broadcast tower and I have a long list of people that are severely affected by EMR and I cannot believe that an association that are supposed to protect human health would allow a smart phone to be installed on our homes that can cause illness including cancer .The latest I hear on the news is one in one hundred children are suffering autism.That total has increased from about one in hundred thousand just a few years ago. To you at Human Rights Tribunal -If you can’t do a better job protecting human health,than you have in this instance,please shut the place down,This is a joke!! If you have used the bcfreedom.com documents like the Claim of Right, joining a class action will void your Claim of Right. Erm… The key word here is “Tribunal”. When sentient human beings entrust their individual experience to be determined by Tribunals, the party is over for individual rights. Personal safety and the will to be free of exposures known be carcinogenic, should NOT be determined by an elite group of appointed “judges”. Tribunal “judges” all over the world have proven time and time again that every judgment is swayed by cash or the implied promise of continuing empowerment. 10,000 years of the same historical phenomena should be proof enough. Why is it that people still don’t get the basic drift?Stop asking for permission to live. All such tribunals should be disbanded, and all illusions of valid elected powers should be destroyed. Democracy is little more than a system of legalized extortion, perpetuated by an elite and persistant minority. Elitist thugs always share the same distinctions. They are little more than actors and actresses on a stage made of blood and war.